You have to watchful of hackers these days. There are plenty of tech whizz kids who are capable of wrecking all sorts of mayhem by simply using their laptop and not much else. This is even easier these days because there is so much of technology all around us. We could actually lock away prisoners and throw away the keys before, but even jail cells are electronically operated now. Not all hacking is bad though. Some are just carried out for the sake of entertainment and probably just to show off to friends. 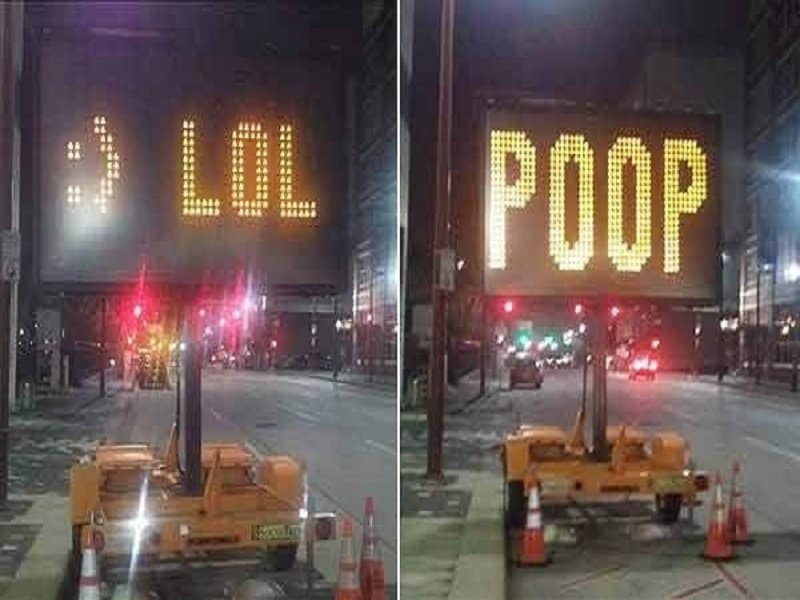 Here is a list of 10 road signs that were definitely hacked. This hack was clearly carried out by the youngest hacker in the world. What gave it away you ask? 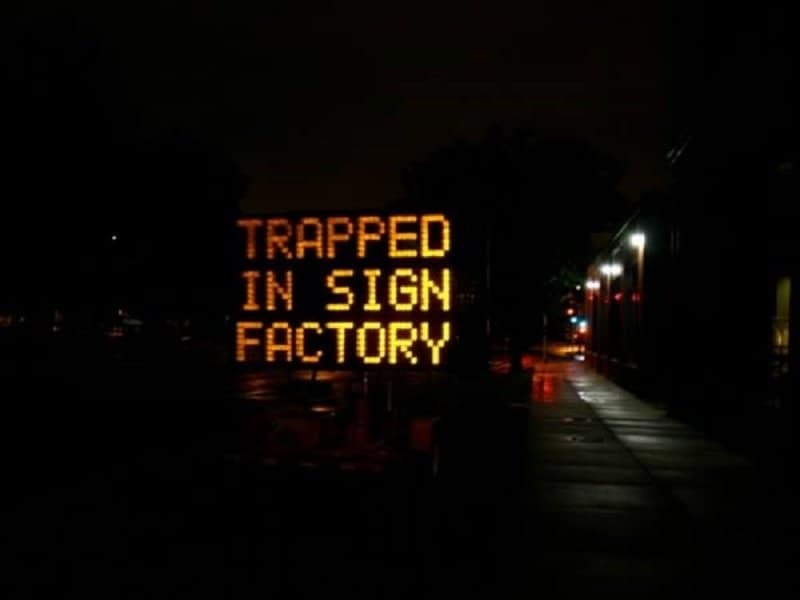 Could be the sense of humor! When you have finally hacked into a public outlet, why would you waste the occasion by putting out a hateful message? Isn’t there enough hate in the world already guys? The exclamation mark at the end makes this message seem urgent. 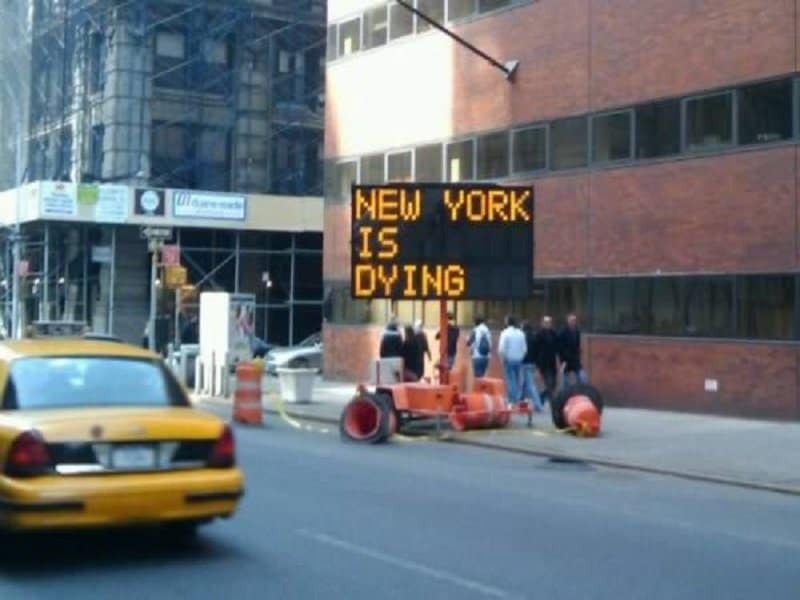 This must mean that these cars are exiting the city and getting as far away as possible. 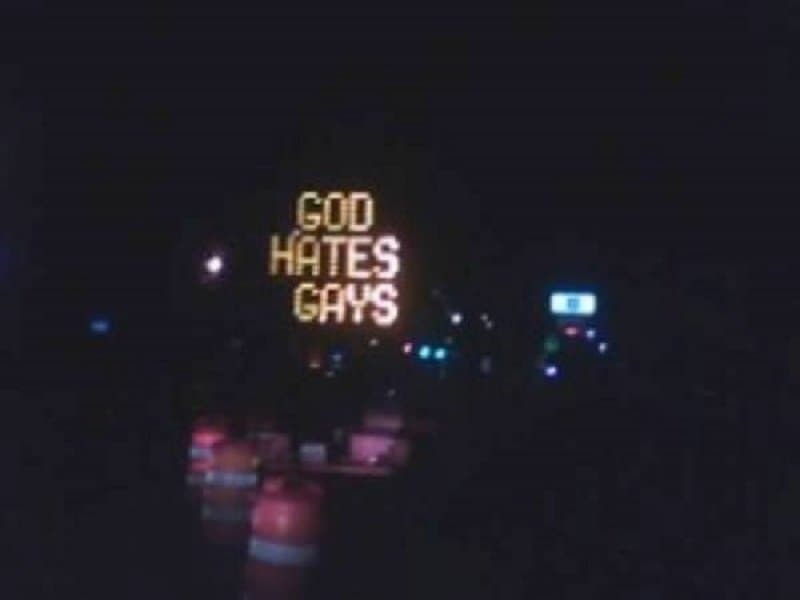 Truer words have not been spoken on a hacked roadside sign. This hacker clearly froze during crunch time! He could have put out any message in the world, but he went with the worst one there is – a fact! 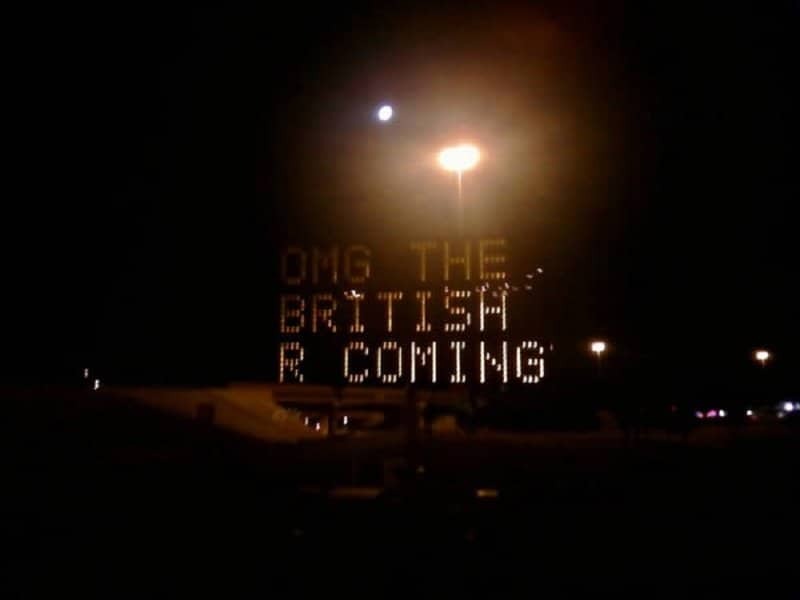 The British are always coming. They clearly never stop traveling, and you can still see them all over the world, even in Britain! 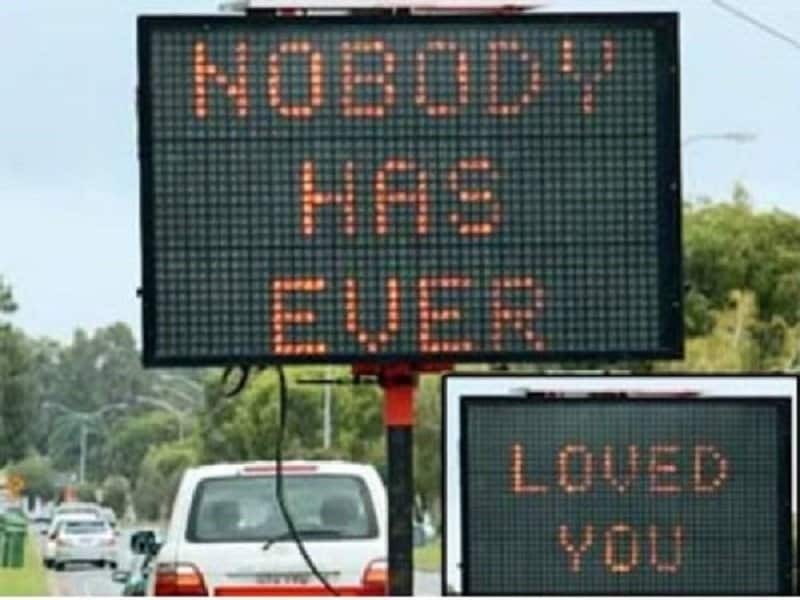 Every one of out three cars must have had drivers who’s hearts must have broken after reading this message. We live in a lonely world! This has got to be the funniest one on this list. 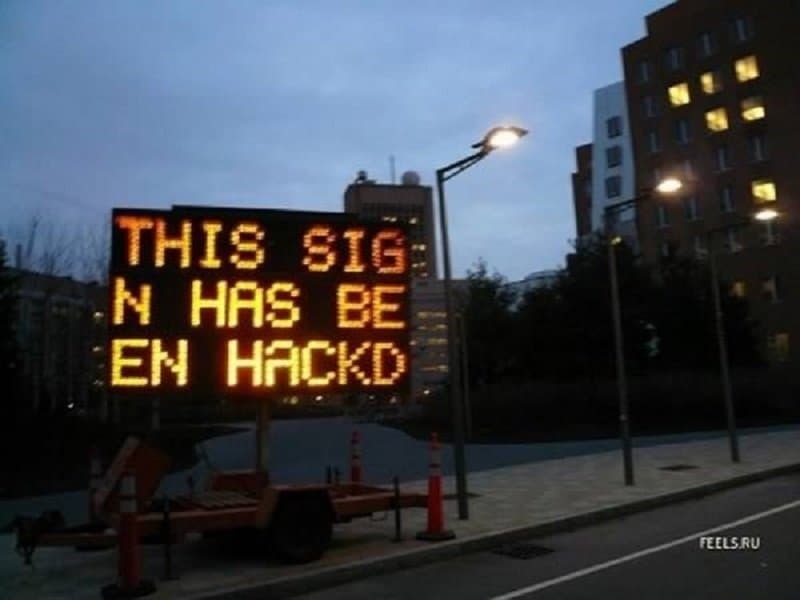 For a moment you would have actually gotten concerned reading this message before you figured out the signboard has been hacked. 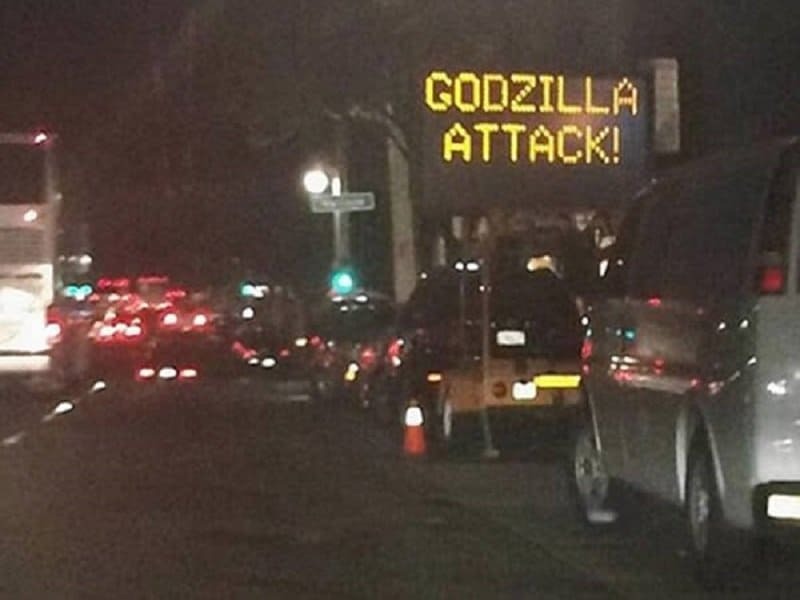 I know this sign board is only a joke, but it would exciting to actually see one of these boards for real. Things have gotten a bit too boring lately haven’t they? 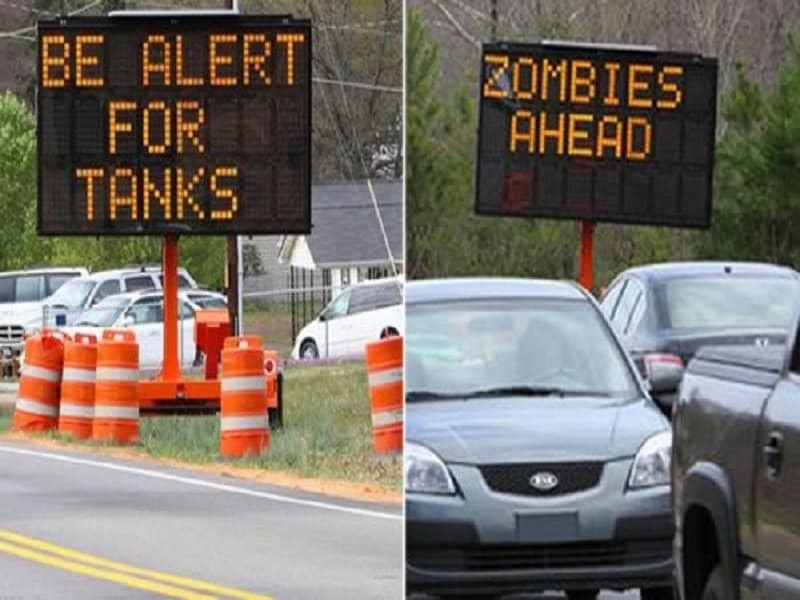 A zombie apocalypse would do nicely. 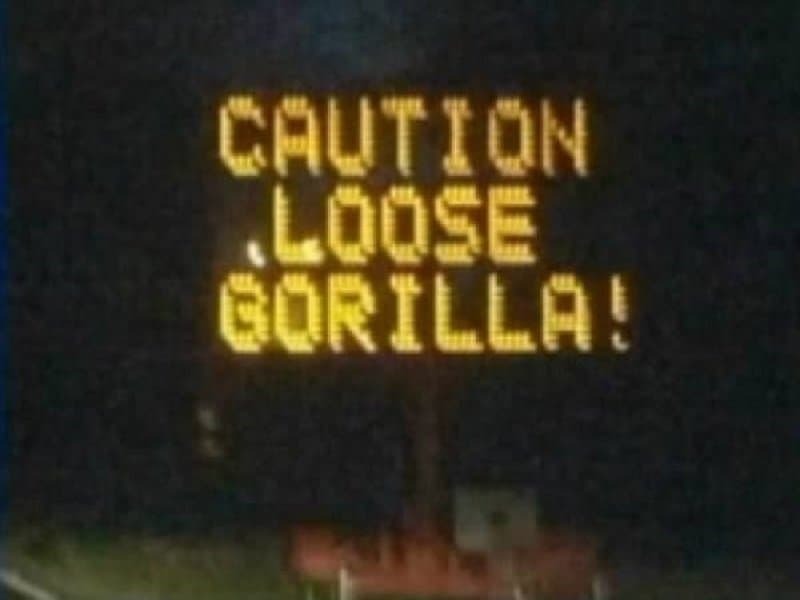 How loose is this Gorilla? Can he do a head stand? Or a banana split? Get it? Because its a gorilla, and they love bananas.